So I was thinking about people coming to this blog and wondering what kinda rig does this guy have. 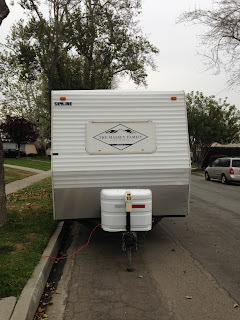 So I decided to post some photos of our trailer. 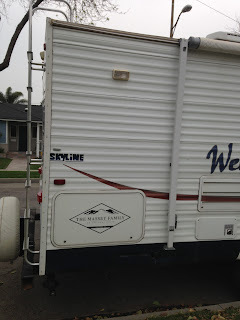 Our trailer is a a 2006 250 Weekender. It replaced our 2004 T@B which we loved. The inside is huge. 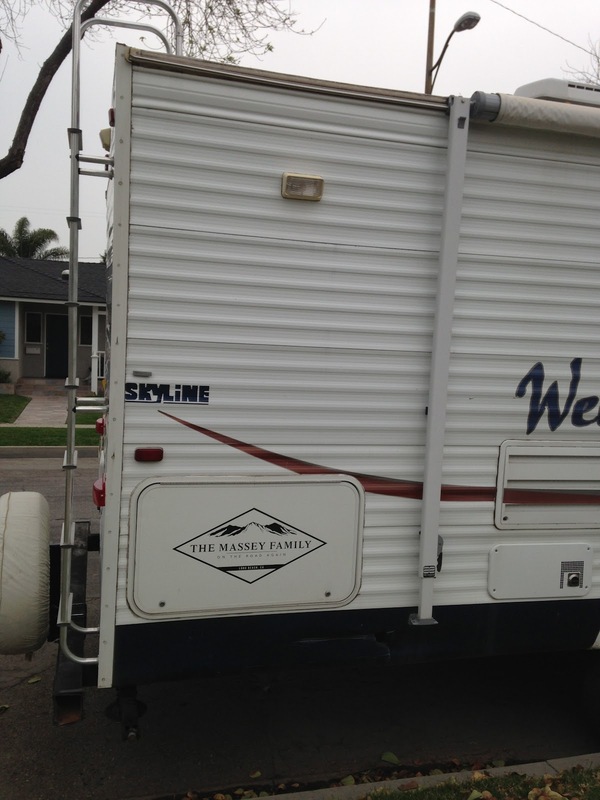 It has a 12 foot slide-out that create massive room inside. 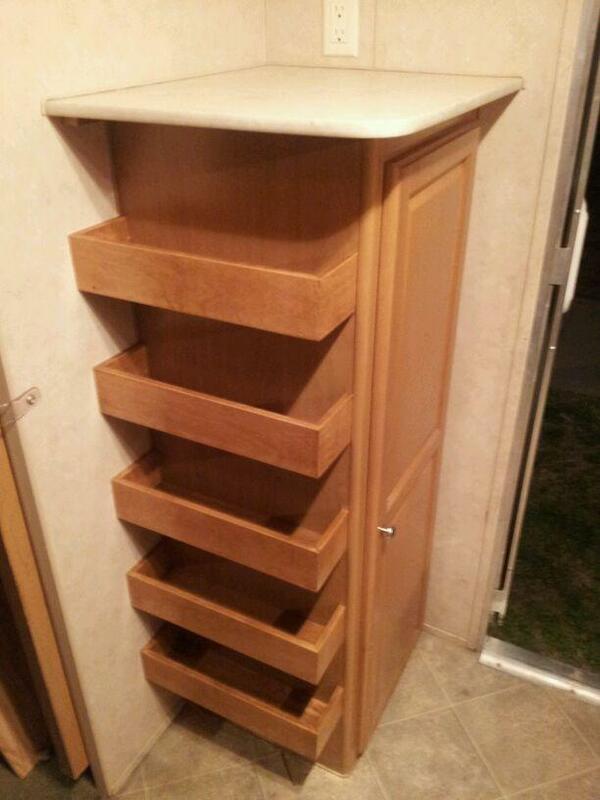 It has one bedroom with a non-standard size bed. Bigger then a full but smaller than a queen, but sleeps the wife and I very well. 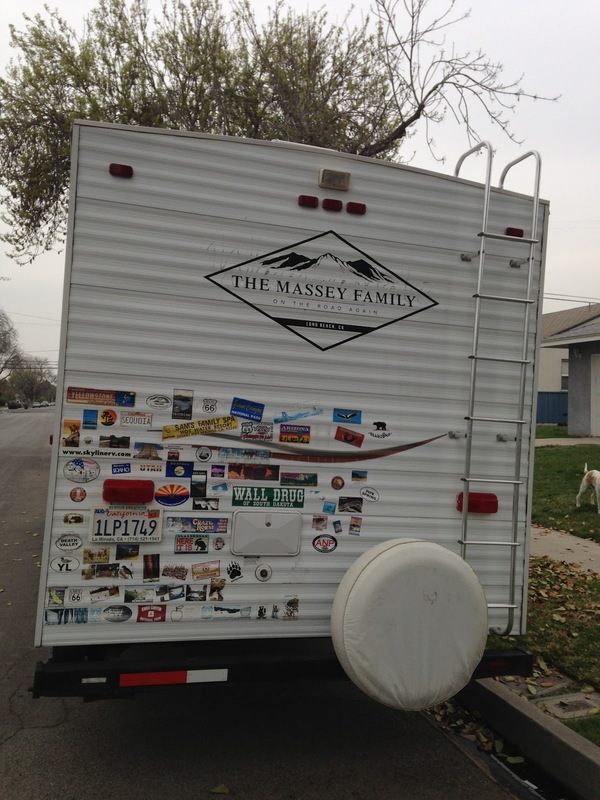 On the back of the trailer are stickers of most of the places we have traveled. Soon i will get one of those state maps that you put the stickers on for each state visited. This is the side compartment and of course our logo. And a bonus are these new shelves. These were made by Chad Compton a friend of mine that does custom wood work and cabinets. If you need this kind of work done please email me and I will put you in contact with him. Thanks Aimee! I try to do the best I can. We have an entire plan for Retirement. Take a look at my blog on that topic. I came over here from your other blog. I like your set up. It looks cozy. I hope to be on the road part time myself (with hubby of course) by the end of this summer.